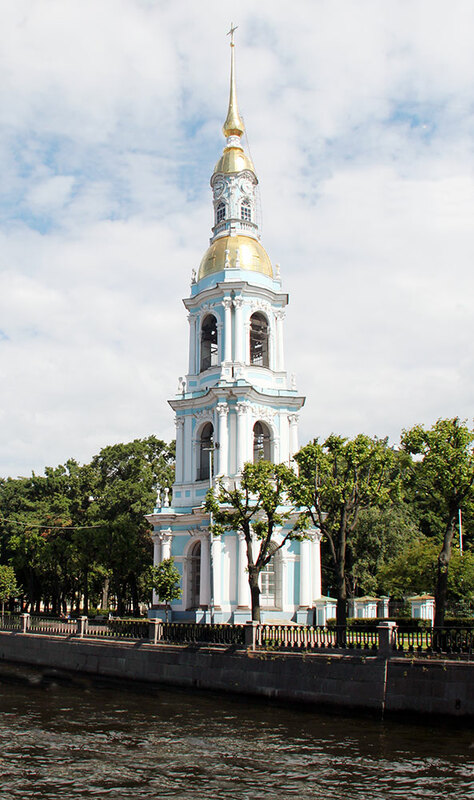 This church was the only one in St Petersburg to challenge the status of Rastrelli's Smolny Convent, according to Dmitri Shvidkovsky (71). 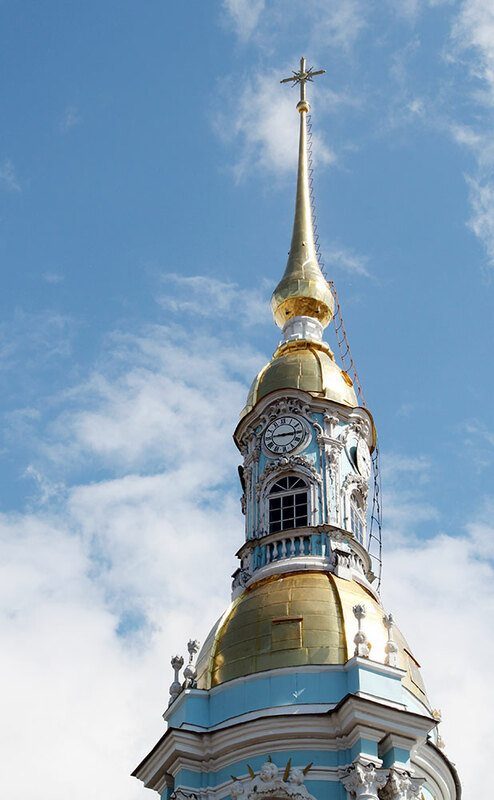 Chevakinsky, who studied at the St. Petersburg Naval Academy as well as with Korobov, the architect of the Admiralty, succeeded his mentor in his post at his death and thus was commissioned to design this church. 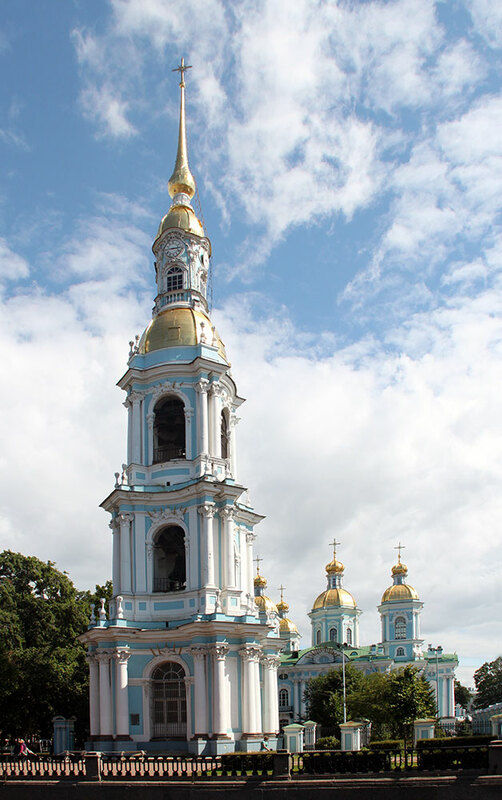 This area had been settled by sailors during the time of Peter the Great and this church replaced an earlier wooden chapel, St. Nicholas the Miracle-Worker. It was begun in 1753, when the Baroque style was especially popular, and completed in 1762 when this style was less popular. Still, it remains one the most striking, even theatrical examples of this style. 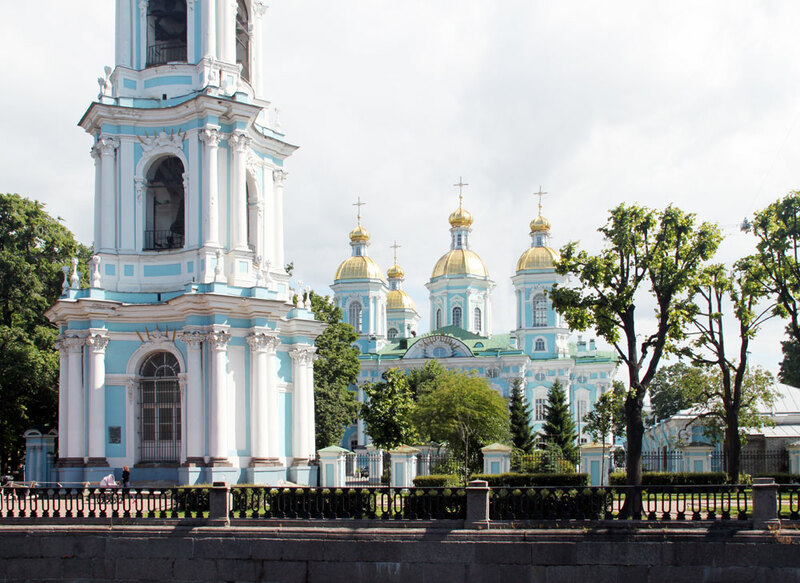 The vivid color scheme and decorative details, like those of the buildings of the Smolny convent, combined with it undulating movement and varied fenestration are qualities of the Baroque style. The cathedral actually consists of two churches, an upper church and a lower church. Here much of the lower facade is obscured by trees. 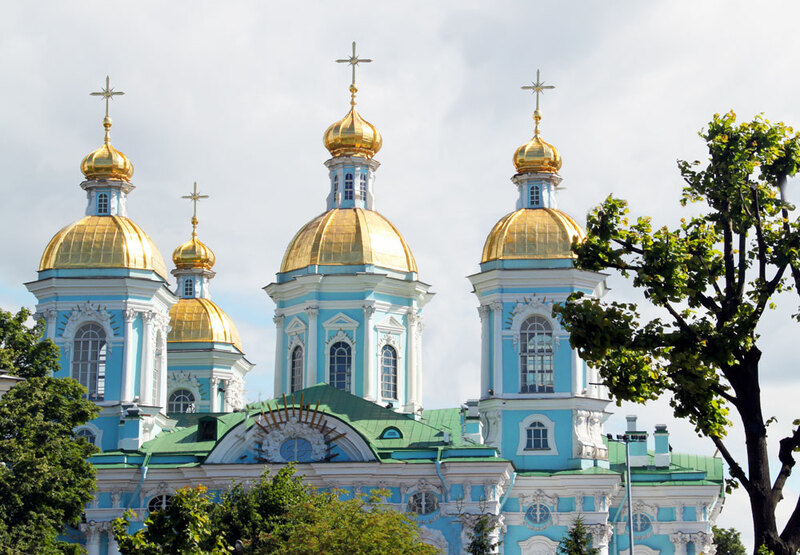 I am returning to St Petersburg in the next few months and will try to take photos of the church proper. 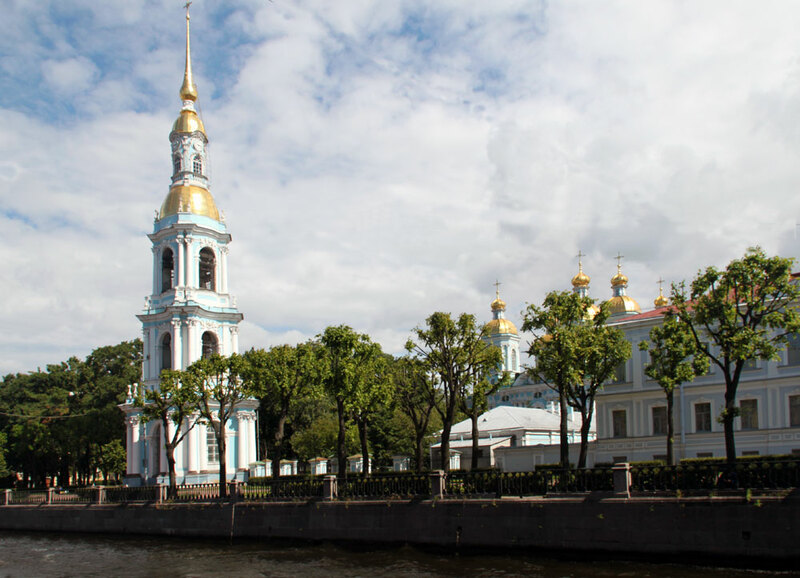 This canal links the Moika and Fontanka rivers in a picturesque area of the city. 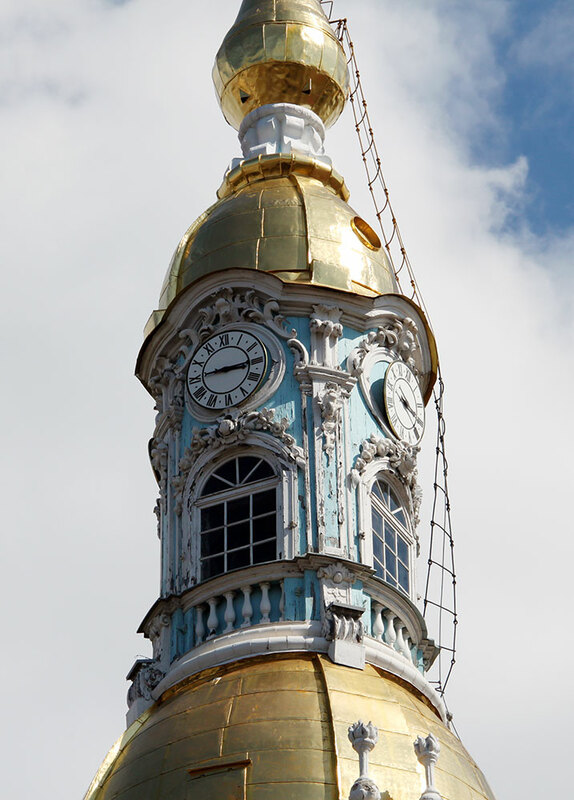 The slender belfry is capped with a delicate gilded spire.